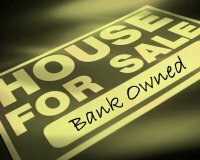 Over the past two years, lender-mediated foreclosure and short sale properties have seen massive declines in their sales prices as banks slash prices to spur demand and move these declining assets (or are they liabilities?) from their balance sheets. Over the same time period, traditional home sellers haven't seen their property values decline at the same rate, despite a growing number of foreclosures. The November median sales price for lender-mediated foreclosures and short sales was $130,881. This is a 20.2 percent decline from November 2007. The November median sales price for traditional properties was $225,420. This is only a 2.0 percent decline from November 2007. The difference between these two numbers is $94,539. Traditional Property: $1,429 per month, $17,153 per year. Lender-Mediated Property: $786 per month, $9,432 per year. That $95,000 difference in sales price amounts to a pretty hefty difference in the cost burdens felt by the home buyer over the course of the 30-year loan. While we know that lender-mediated properties are more likely to need considerable repairs, have a far more complicated purchase process that sometimes leads to canceled sales, and can in general be a more tenuous purchase than traditional sales, $95,000 is still a big gap, all things considered. So here's the $95,000 question: is this gap sustainable? Are consumers willing to pay that much more for quality, "turnkey" properties that are ready to move in? Or will traditional sellers need to drop their prices further to compete with these bargain-priced foreclosures and short sales? We earnestly want to hear from you on this. What do you think and why? Leave your thoughts in the comments section below. On Friday, we talked about new evidence that the banks responsible for lender-mediated foreclosures and short sales are offering slashed prices immediately at the time of listing, leading to improvements in the percent of original asking price they receive. Today, we've got some complimentary evidence of this trend. Lender-mediated properties still take longer to sell, on average, than traditional homes. But the change in the last year shows that trend showing the potential of reversing. Traditional properties saw their average market time in the last year increase by 18.8 percent, while lender-mediated homes saw theirs decline by 2.0 percent. Another indication that foreclosures and short sales are priced more aggressively downward than they used to be. As has been discussed here countless times before, lender-mediated foreclosures and short sales are selling for lower prices than traditional properties. But what about those sales prices relative to the original asking price of the property when first listed? We decided to investigate. Surprised? Probably not, I'd imagine, given what we know about the aggressive downward pricing that lenders are employing to move these depreciating assets from their bleeding financial statements. What may surprise you is that the gap in these numbers between traditional and lender-mediated is starting to slowly shrink in Q2 and Q3 this year. Preliminary figures from Q4 confirm a continuation of this trend. Foreclosures and short sales (i.e., lender-mediated properties) continued to increase their market share in the third quarter of 2008. • Over the past year, the inventory of traditional properties has declined by 22.9 percent, while lender-mediated homes have grown by 64.6 percent. • Of all current active properties for sale, 28.1 percent are foreclosures or short sales. • Home prices are declining across the board, but the declines are quieter for traditional properties. Lender-mediated properties are seeing faster declines as financial institutions price them to move and condition issues decrease their value. The report underscores the fact that this phenomenon will be with our market into the foreseeable future. The prevalence of lender-mediated homes varies greatly from area to area. A full index of MLS areas and cities is included in the report, which also includes more analysis and an explanation of the research methodology. Click here to view the Q3 Update. Foreclosures and short sales (i.e., lender-mediated properties) don’t appear to be leaving the Twin Cities housing market anytime soon. These types of properties are going to be with us for awhile, and having accurate and detailed information on their impact is crucial for buyers and sellers. 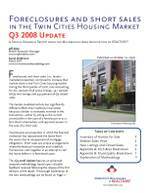 MAAR is proud to announce the release of the Q2 2008 Update to "Foreclosures and Short Sales in the Twin Cities Housing Market." Over the past year, the inventory of lender-mediated properties has almost doubled, while traditional inventory has declined by 16 percent. 21.7 percent of all properties for sale at the beginning of July were lender-mediated. Traditional homes continue to hold their value better than foreclosures and short sales. The Q2 median sales price of foreclosures and short sales has fallen by 11.7 percent in the last two years while traditional homes has declined by only 3.4 percent. The prevalence of lender-mediated homes varies greatly from area to area. 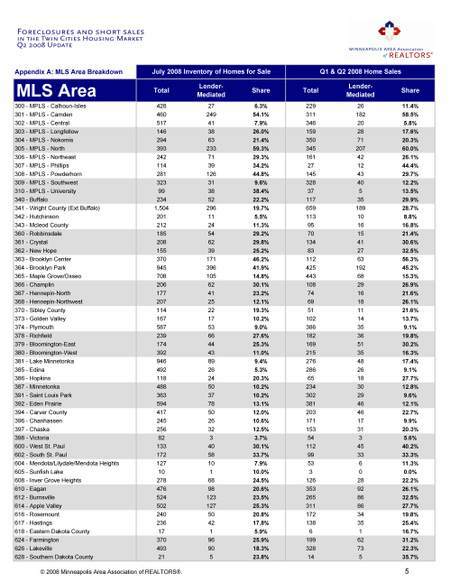 A full index of MLS areas and cities is included in the report. So yes, after many requests from members, the media and the public, we are now offering our lender-mediated data through the geographic lens of city and neighborhood. CLICK HERE TO VIEW Q2 2008 UPDATE. 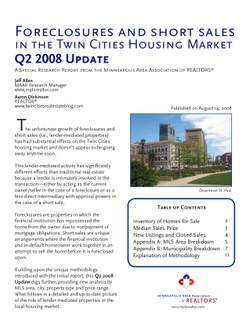 To share comments or questions on the Q2 report, please contact Jeff Allen, MAAR Research Manager, at jeffa@mplsrealtor.com or Aaron Dickinson at aarondickinson@edinarealty.com. "The number of June filings in Minnesota was 75 percent higher than in June 2007, but 23 percent lower than in May 2008." "...one in every 1,348 Minnesota households received a foreclosure notice in June -- considerably better than the nation as a whole, where one in every 501 households entered foreclosure." Overall, Minnesota ranks 29th amongst the 50 states in our foreclosure rate, down from 25th last month. The highest foreclosure states are those areas which saw the biggest price appreciation and now have damaged affordability—Nevada, California and Arizona. For perspective, Nevada saw foreclosure proceedings begin for one in every 122 households in June, and California was close behind at one in every 192 (from a Reuters article). While we're on the subject, keep your eyes open in the next two weeks for an updated Q2 market report on Twin Cities foreclosures and short sales. For a friendly reminder, here's a link to the Q1 report. Seller-Financed Down Payment Assistance: Friend or Foe? When zero-down mortgages were all the rage during the boom years, eager buyers with little savings understandably took advantage. In the present day—after two years of huge bank losses brought upon by rising foreclosures, short sales and loan defaults—well, let's just say that lenders aren't exactly looking to give away free money without a little collateral in return. So zero-down mortgages must be gone, then, right? Well, no, actually. Zero-down mortgages are effectively gone in the conventional mortgage market, with at least a 5% down payment required on loans in that sector for even those with credit that sparkles like Vanna White's teeth. However, zero-down mortgages are alive and well in the FHA mortgage market, just in a slightly altered state, through the infamous seller-funded down payment assistance programs (DAP). Most of you are likely familiar with this method, it having been in existence for quite some time, but it bears a re-visit considering its recent revival from the dead and renewed prominence. Scenario: A buyer wants to buy a property but has no money to put into the loan for collateral. FHA loans "require" a 3 percent down payment for approval. To circumvent this financial hurdle, the buyer asks the seller of the property to "donate" 3 percent of the purchase price to a non-profit like this one or this one who specialize in down-payment assistance. 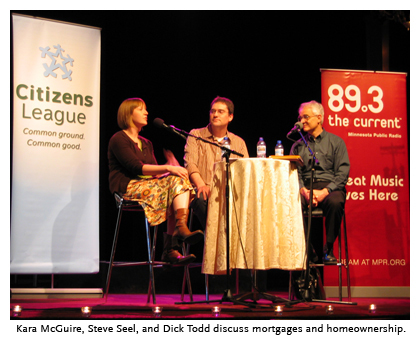 After collecting a small fee for their trouble, usually a few hundred bones, the non-profit then "donates" the 3 percent back to the buyer, who uses it as a down payment on the loan they could previously not be underwritten for. Some have called it legal money laundering. Others call it the best hope for first-time buyers in this challenging housing market. "The FHA estimates that down payments provided by nonprofit groups account for 34% of all 200,000 loans backed by the FHA so far this year, up from 18% in all of 2003 and less than 2% in 2000. And the agency says that borrowers are two to three times as likely to default on their payments when they receive a down payment from a nonprofit." Note the 15+% loan default rate on DAP loans, a big difference from the roughly 6% default rate for traditionally borrowed FHA loans. "The Federal Housing Administration expects to lose $4.6 billion because of unexpectedly high default rates on home loans, officials said Monday. Brian D. Montgomery, the F.H.A. commissioner, attributed the unanticipated losses primarily to the agency’s seller-financed down payment mortgage program, which has suffered from high delinquency and foreclosure rates in recent years." Whether or not the FHA is successful in removing DAP from its offerings remains to be seen. As a highly regulated public entity, simply wishing something away isn't that easy. Regardless, what do you think? With some claiming that lending standards have gotten too tight already and others claiming that they're not tight enough, where does DAP fit in to the discussion? Friend or foe? For an "uber-nerd" look at how DAP works, check this: DAP for Uber-Nerds. Home sales are continuing along a relatively smooth course so far this summer, with newly signed purchase agreements (pending sales) increasing by 3.8 percent over last year for the week ending June 14. 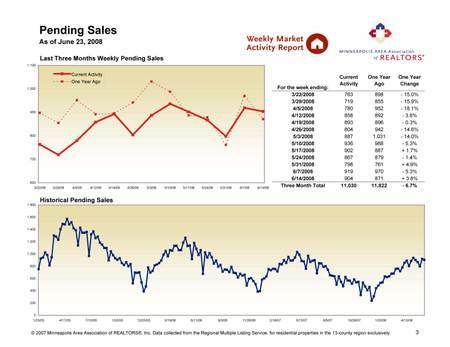 Over the last six weeks, pending sales are behind the same time period in 2007 by only 30 sales, or 0.6 percent. When you compare that to the consistent 15–20 percent declines of the last few years, this is welcome news. Simply matching last year's numbers does not allow home sellers to celebrate recovering buyer interest in their properties. Plus, we need to keep some perspective on what types of sales are comprising this new stabilization of activity. A hearty 27.9 percent of purchase agreements from the last six weeks were made on lender-mediated foreclosures or short sales. 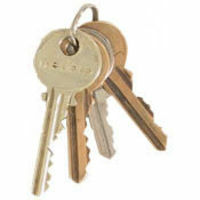 Buyer activity is being propped up by the increased market share of these types of properties. Traditional sales over the same six-week period are down 21.0 percent from last year, while lender-mediated sales are up 284.5 percent from 406 sales last year to 1,561 this year. So the traditional seller still faces some challenges—and some new and very different competition. All told, heavy buyer interest in lender-mediated properties is viewed as a positive sign. We need the prevalent lender-mediated inventory to be absorbed before our market can return to some semblance of order. The sooner these properties are worked through the market cycle, the sooner that the mist of uncertainty they bring to negotiation, appraisal and home value will lift. 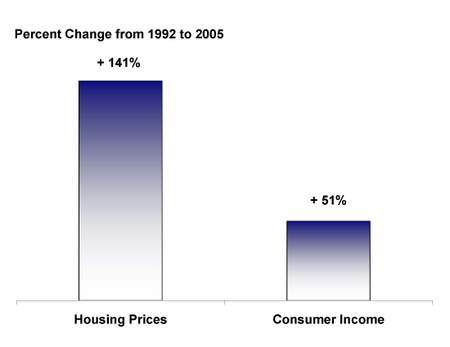 How Much Has Affordability Really Improved? This is the the darker side of the boom-year housing price increases. To use formal economics terminology, home values got so crazy-out-of-wack with consumer income that the writing was already on the wall for our housing market far before the credit crunch and dampened consumer confidence added fuel to the downward trajectory. Those are just instances of adding insult to injury, really. So it stands to reason, then, that if affordability were to improve then buyers would have reason to flock back en masse and restore a semblance of balance to the market proceedings. Right? Right (assuming they can now save for a down-payment and come to the table with good credit). So it has been with great joy that we've watched our Housing Affordability Index (HAI) figures increase over the last two years, brought up to higher, healthier levels by falling home prices and relatively stable interest rates. 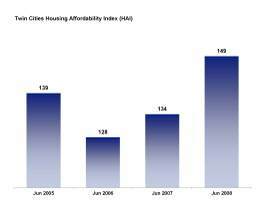 The picture being painted was one of an attractive, low-cost environment with affordability levels unseen since 2003. But let's think about this further. After perfecting the foreclosure and short sale search methodology used in our recent report on the subject, we can parse out those types of properties from the general population. This gives us an important new layer to this picture. The major gains in affordability can be found in the foreclosure and short sale market. So perhaps a more accurate way to describe the current Twin Cities affordability picture is that a segment of the market has seen dramatic improvements in affordability. 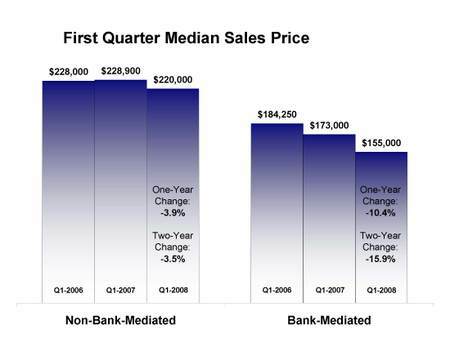 If affordability is crucial to our market recovery, but is still a troubling issue in the traditional sales market, it could very easily mean further price declines are in-store for the non-bank-mediated market. An alternative opinion is that the differences between the two property types are so severe that today's real estate consumer is willing to pay more for a traditional property than a lender-mediated one. I'm not sure I have the answer as of yet as to which theory sounds more compelling. All we can say for certain right now is that the affordability picture is still a little more complex than we'd originally thought.